If you have ever had a slightest problem walking your dog outside, big or small; this is a must attend for y'all. If your dog gets hyper at the sight of the leash... Pulls you through the stairs... Never gives a moment of slack out on the road... Lunges at the sight of squirrels, cats, people or other dogs... Must be tough right? Come over on Sunday, we have an entire day working on how to have the easiest time on leash with your dog. If that's not enough to convince you, we have three of the most legendary people I have had the fortune of working with in my career. They all are veterans in their field and have been a guiding light for many in their respective fields. He has been my mentor from the day I stepped into the pet industry professionally and has pushed me forward over the past years. He has one of the most diverse pool of knowledge on the history of dog breeds and will discuss how we can help sustain the healthiest specimen of a certain breed. Abhinav Srihan, Founder of Fauna Police and Dog's Inn. The most diverse, open minded and knowledgable animal welfare activist I have come across. He is also a plant based lifestyle awareness activist with a lot to share. His portfolio of the types of animals he has rescued, rehabilitated and worked for/with ranges from anything between snakes to birds, fish to predators, you name it. He will be talking to us about the basics of animal rescue and welfare and answering any questions one may have. I have always been lucky to be rekindling my inherited animal rescue lifestyle to take it up a notch and learn about various species and how to raise and train them. SJS pet care & clinic, Dr Shally. 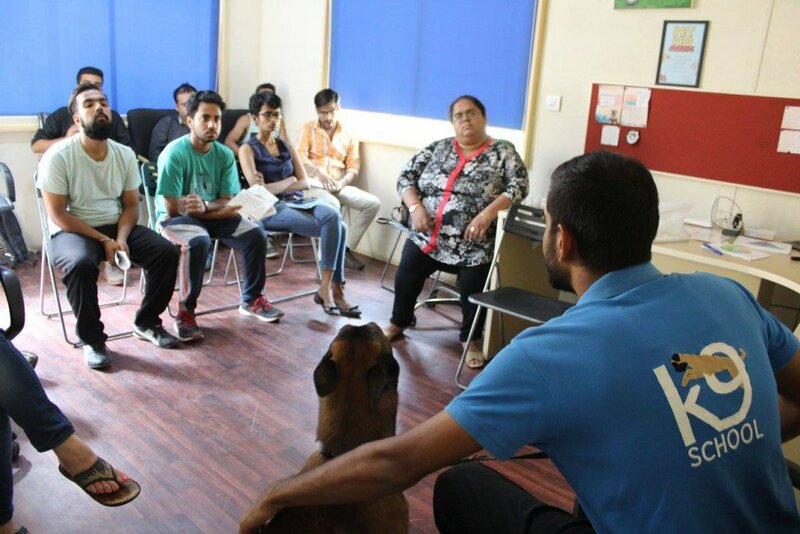 Shally mam has worked in the most dire scenarios with such marvellous composure and has become a rock for us at @k9schoolindia as she is always on call no matter what time of day incase an emergency arises. She directs and conducts many dog and cat spay/neuter program. She will be discussing the importance of sterilization for domestic animals. Looking forward to an amazing time!